2(11)- “Santificado seja o vosso nome; venha a nós o vosso reino,” penso no poder concedido por Deus ao nome, à palavra e a cada letra do alfabeto, e lembro-me de evitar toda palavra destrutiva ou negativa que possa sair da minha boca; lembrando-me também de irradiar a todo instante o amor sem fronteira, a justiça e a paz; a saúde, o sucesso e a união; a esperança, o entusiasmo e a gratidão; a sorte, a riqueza e a felicidade; o casamento, a beleza, a fertilidade. 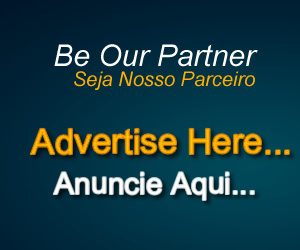 Pois, “é dando que se recebe”. Hurrah! After all I got a weblog from where I can in fact take helpful information concerning my study and knowledge. Very good post, I'm going to shell out much more time researching this topic. I simply must tell you that you have written a great as well as unique article that I actually enjoyed reading. I’m fascinated with how well you laid out your material and shown your views. Thank you. Hi friends, its great article on the topic of tutoringand fully defined, keep it up all the time. I truly enjoyed this. It was extremely educational and useful. I will return to examine on new posts. I merely started reading and I’m glad I did. You’re an incredible blogger, among the very best that I’ve seen. This weblog without any doubt has some facts on topic that I just wasn’t mindful of. Many thanks for bringing this stuff to light. I have been reading lots of your articles and i must say pretty good stuff. I will certainly bookmark your website. Whoa! This could be among the most useful blogs we've discovered about this subject. Magnificent. I'm also an expert in this topic so I can understand your effort. Yours is an excellent example of interesting writing. I think my students could learn a whole lot from your writing style and your articles. I may share this article with them. A motivating discussion will be worth comment. There's without doubt that that you ought to write much more about this subject, it may not be described as a taboo subject but generally people do not discuss such subjects. To another! Each of the best!! I do agree with all of the ideas you've offered for your post. They're really convincing and will certainly work. Still, the posts are too short for newbies. May you please extend them a little from subsequent time? Thank you for the post. If you would like tto grow yur famiiarity only keep visiting this web site and be updated with the newest news update posted here. Thanks , I have recently been searching for ibfo approximatly this topic forr a long time and yours is the greatest I've discovered so far. However, what concerning the conclusion? Are yoou certain in regards to the source? Woah! I'm really enjoying the template/theme of this blog. It's simple, yet effective. A lot of times it's challenging to get that "perfect balance" between superb usability and appearance. I must say you've done a great job with this. Additionally, the blog loads very fast for me on Internet explorer. Superb Blog! 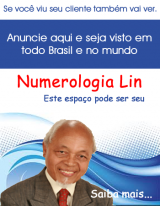 Thanks for finally writing about >Pai-Nosso-2/9> vosso nome, vosso reino | Teacher's Blog Lin - Author of the book "The Numbers Confirm: God Is Within You!" <Loved it! Great blog, I'm going to spend more time reading about this subject. Great post. I was checking constantly this blog and I'm impressed! Extremely useful info specially the last part :) I care for such information a lot. I was seeking this particular information for a very long time. Thank you and best of luck.